The last 2-3 days I have been sailing in beautiful sunshine. The sun itself is quite strong but the air -and especially the water – was still very cold as I was sailing along a flow of water coming from the cold Antatic South. Inside the boat it did not get above 8*C.
Yesterday evening a huge swell built up from behind, making me worry something was brewing that I had not spotted on the weather charts. Had the thought of being in the Atlantic made me complacent?. But it died away again and all I have now is windwaves. After a little lull this morning the wind direction has changed a bit and wind speed is back up so I am moving again at 15-18 kn in the right direction. Suddenly from one hour to the next the temperature changed, probably warmer water. Cabin temperature now 15*C which is a lot more pleasant. flapping, no energy wasted. Masterfully riding the updraft of the wind blowing over the waves. Everything in unruffled, fully controlled slow motion. It looks a bit like a Jumbo 747 doing aerobatics. 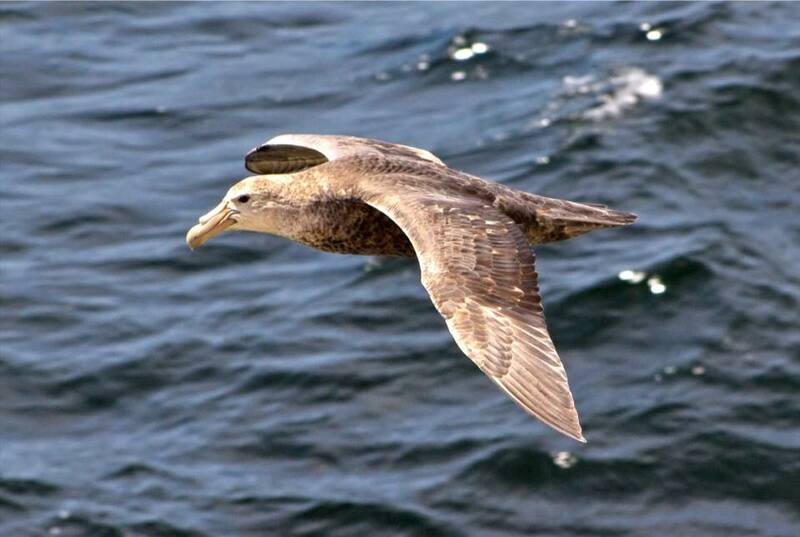 Albatros seem to live on the ocean, hardly ever visiting land . What they eat is a mystery to me, I have never seen one dive down to catch a fish. Now I am accompanied by smaller more agile birds, Petrels ?, good flyers but without the justified arrogance of the albatros. King of the South.